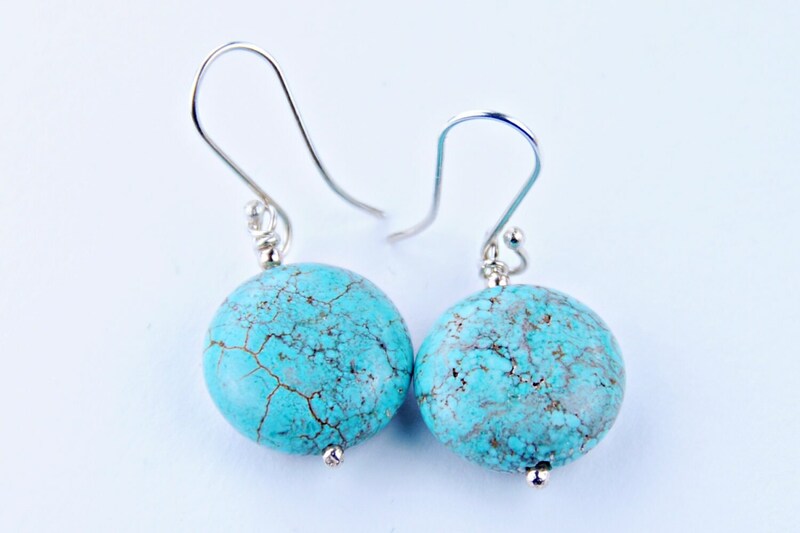 These earrings are for turquoise lovers. They are natural, they are round, wholesome, and very blue. 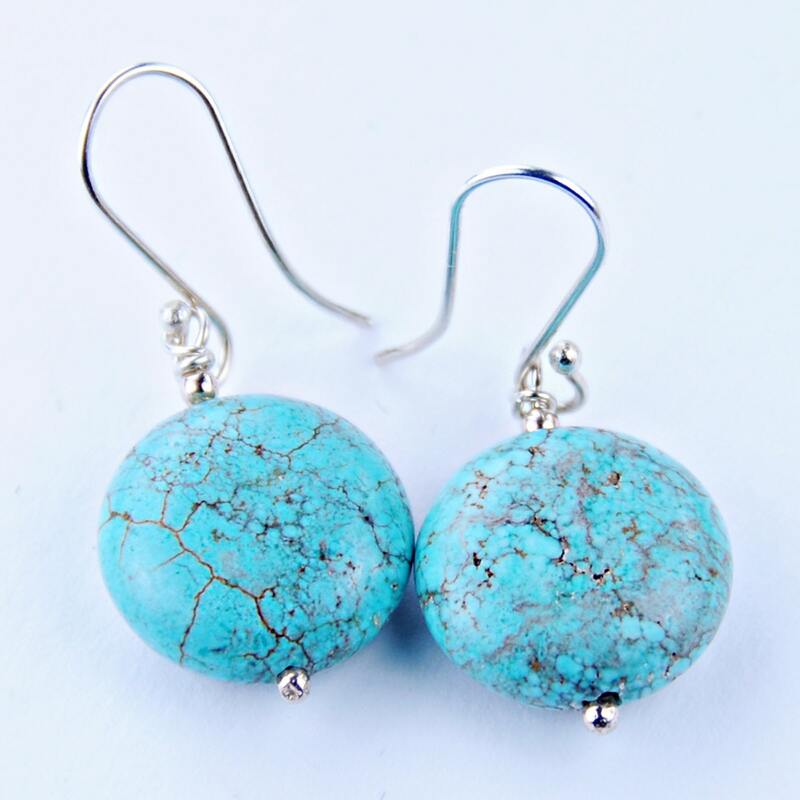 They'll match perfectly with the colour of the caribbean so if you are planning a vacation there soon you can match them with various accessories or clothes on this same magic tone. The hooks are made of sterling silver. A great gift idea for mom, your bridesmaid, your girl, your fiancee, your sister or anyone who considers herself a sea lover. The stone is 0.7 inches (1.7 cm.) long. The length of these December birthstone earrings including the hook is 1.4 inches (3.5cm) from top to base of the stone. Please message me for quantity discounts and purchasing information.